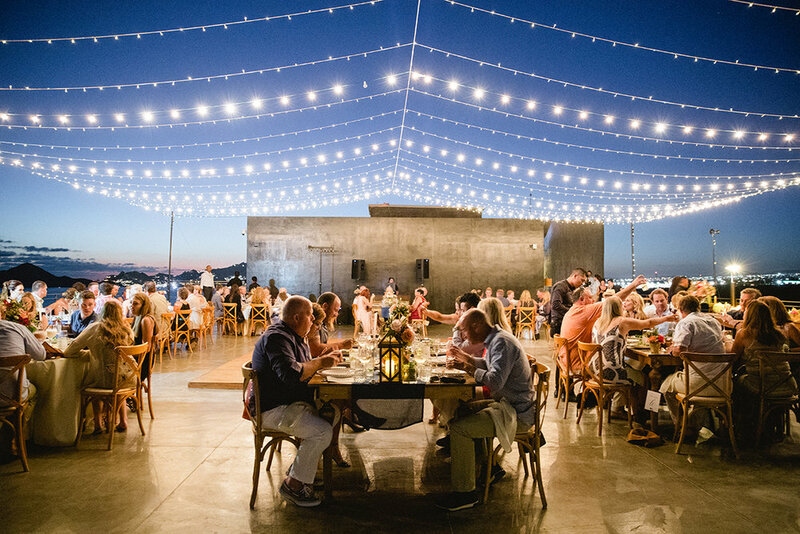 Boutique The Cape Thompson Wedding — Wedding Coordinators in Los Cabos - Cabo Wedding Planner | Karla Casillas and Co.
We LOVE when we help genuine souls tie the knot! Gina + Eric were referred to us by Sonja + Chris and oh boy! 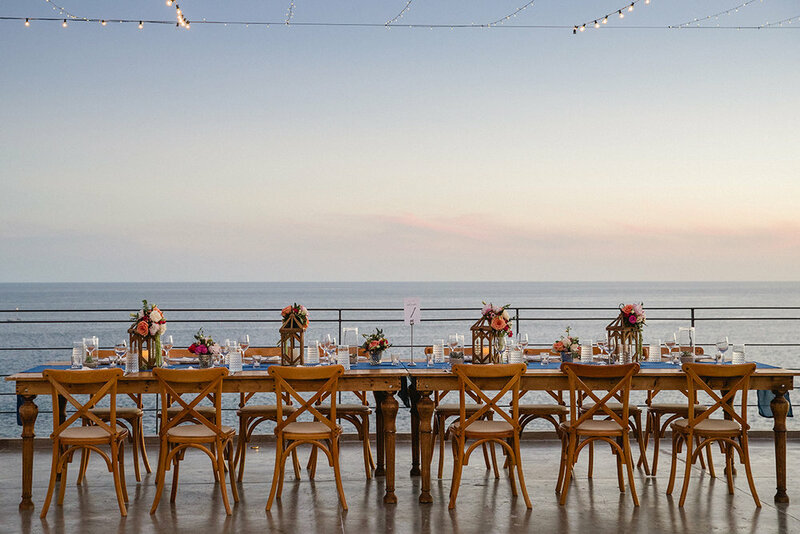 We can't thank them enough for letting us be a part of their Los Cabos destination wedding at The Cape Thompson. Remember the story about Sonja + Chris? Well look who is conducting the ceremony for Gina and Eric.... Yes! Chris. 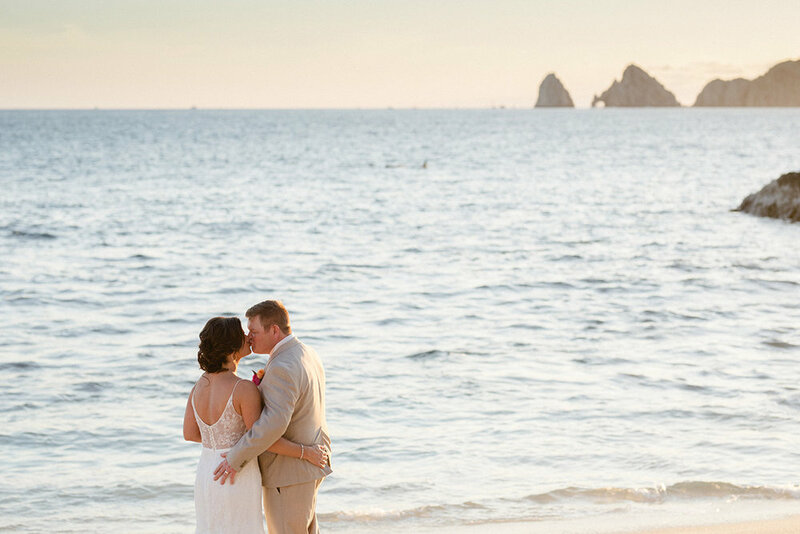 The Ceremony took place at the upper pool terrace of the boutique resort The Cape Thompson, this past January, one of the best weather months for your destination wedding in Cabo. 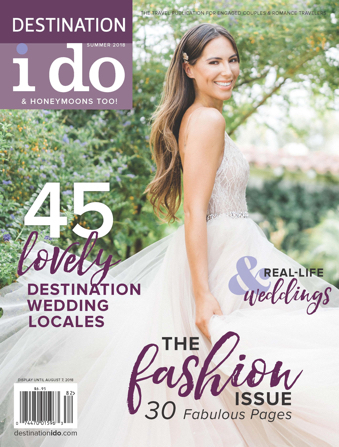 Capturing every special moment of Gina + Eric's big day is our most wonderful Los Cabos based wedding photographer Sara Richardson and second camera Ramon, they make an awesome team. Gina and Eric are one of the most fun and loving couples we have met, and we can have fun and interesting conversations about there love for travel, food and wine. This made our food tasting so much fun. They have a love for treating their friends to great dinners, cooked by both! They are just perfect for each other. These pictures are a remainder for me that we are truly are blessed to live in Baja, particularly in Cabo San Lucas, where nature created our famous arch "El Arco". This beauty of nature marks the end of the land "Finisterra" and where the pacific ocean meets with the sea of cortez. What a better place to tie the knot! For all details present always is The Main Event Cabo, working closely with Sr. Wedding Planner Cristina Cabrera following Gina's vision. 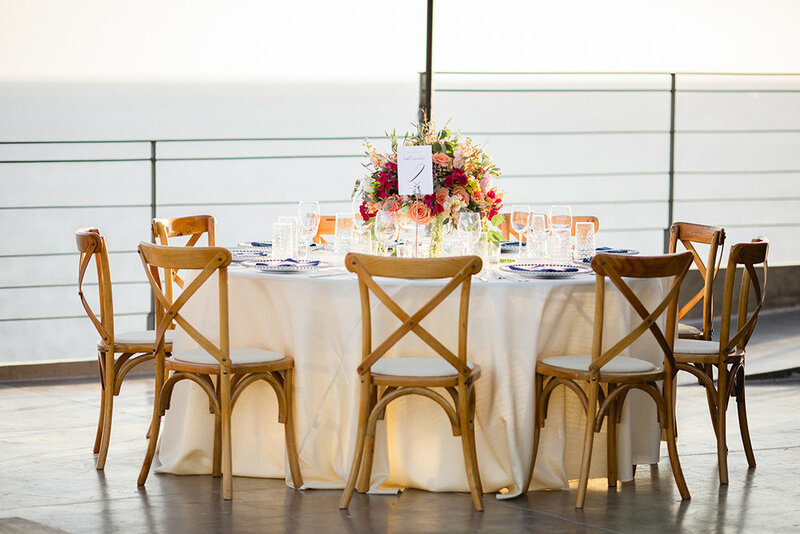 I just LOVE the combination of round tables and long tables mixing and matching the color scheme. 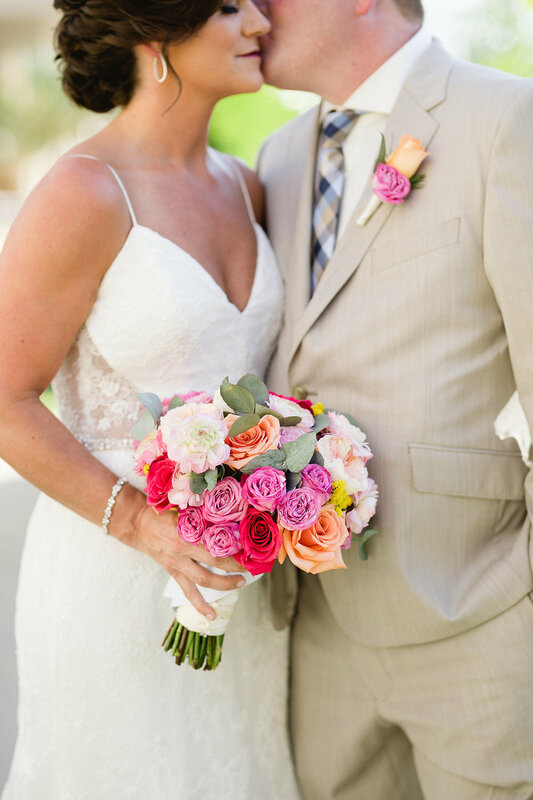 There are wonderful details to this beautiful Los Cabos wedding, but we will talk more about them in a different post. Stay tuned! For more information please contact us, we are always so happy to hear from newly engaged couples. Karla Casillas June 18, 2018 KARLA CASILLAS AND CO.